We are sending Fair Week out with a bang! A few weeks ago I took a poll on Facebook to see what everyone’s favorite fair food is and today’s recipe was the hands down winner! 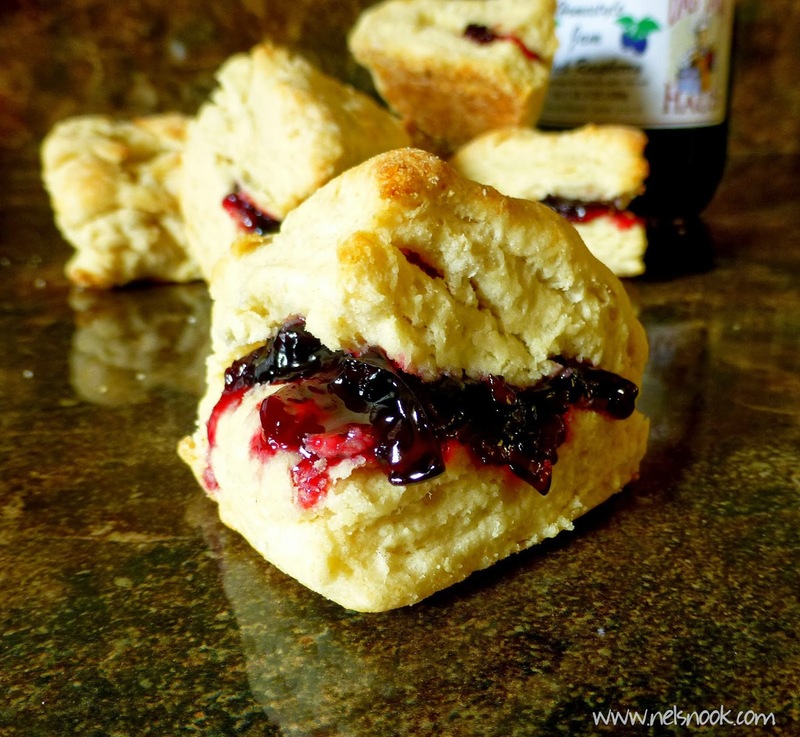 So today I bring you copycat Fisher Scones. 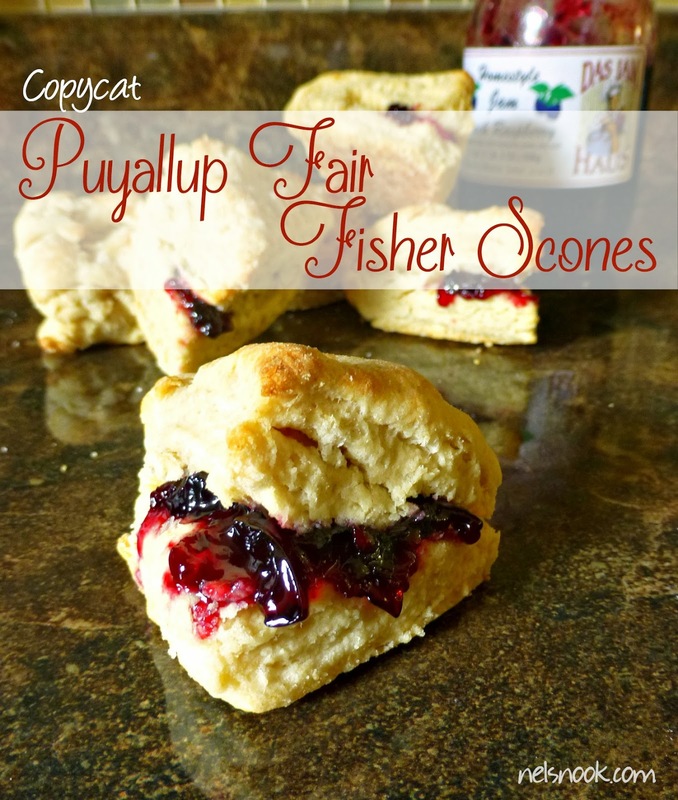 Fisher scones have been a Puyallup Fair staple for over 100 years and they have sold over 100 million scones! That’s a lot of scones! They are served warm and are filled with a slab of butter and a glob of raspberry jam. There are booths all over the fair grounds and you can expect a long line at each of them, especially right before the fair closes and everyone is going home! But let me tell you they are definitely worth the wait! I recommend ordering a dozen (they actually give you 13) and that way you can share or save them for breakfast for the next week! Even as an adult whenever somebody in my family goes to the fair they bring home a bag for all of us to share! With this recipe you can make them at home year round! Getting this recipe right was quite the challenge - Fisher even has their own blend of flour they use to make their scones! I think I got it pretty close – these slightly sweet flaky scones will melt in your mouth just like at the fair and don’t forget the butter and raspberry jam! In a mixing bowl, sift together the flour, baking powder, corn starch, sugar, and salt. Grate the stick of butter (I used a cheese grater) into the dry mixture. While still warm, split scones apart but not all of the way and fill with butter and raspberry jam. What’s your favorite memory of the fair?? What fair treat would you enjoy year round if you could? 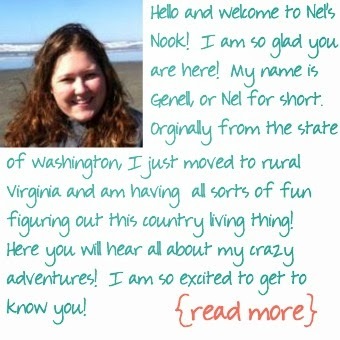 I grew up in Kennewick, and I went to the Benton County Fair every single year. Alas, we didn't have these gorgeous scones. As I was writing it I wondered how many other fairs have these scones. I think it might just be a Puyallup fair thing - which is too bad because everyone should try them at least once! I know this is an older post but the Evergreen State Fair in Monroe, WA also has these scones every year. Delicious but expensive at $15.00 a bakers dozen. Yes they are getting a little bit pricey but they are still so good! Thanks for stopping by! They taste very good too! Thanks for stopping by! Has anyone tried using Gluten Free flour mix for these? I'm curious how well they turned out or what changes needed to be made to the recipe to get them to turn out with the same consistency. Hello! I haven't tried using gluten free flour for this recipe so I can't say for sure. However, I think if you use a cup-for-cup gluten free flour mix you should be fine. Let me know if you try it! I was so excited to try these but they turned out super hard and flat... nothing like the picture. :( I've never made scones before so I followed the directions word for word but I added a tiny bit more milk because the dough didn't quite come together with 3/4 c. Do you think this is where I went wrong? Is the dough supposed to be a little dry? Any advice is appreciated because I'd love to try them again. I just finished making some and ran into the same problem. I think there may be too much flour. I also had to add more milk because it was so dry and crumbly that it wouldnt come together. the bottoms were hard compared to other scone recipes I have had and also there was no fluff like in the picture. I was just at the fair and I was really hoping that this would turn out. Oh no! It's so hard to know what exactly caused the differences without being in the kitchen together. A few things come to mind - make sure the baking powder is not expired and don't mix the dough too much. Another thing I have noticed is that some of my old "go to" recipes in Washington don't always turn out the same in Tennessee - I don't know if it's the altitude, weather, or what! I haven't made these in a long time but I will make them soon and see if I can figure out exactly what's going on. Thank you both for the feedback! I just made these and the dough was stiff, turned out like hockey pucks! I measured correctly but think the liquid to dry ingredients is off! I use Fisher scone mix and the dough is much stickier! Dang it! I hate when something doesn't turn out right and I am so sorry that the recipe disappointed you. It is hard to pinpoint the issue but I have noticed that I have had to adjust almost all of my recipes when baking in the South vs in the PNW. I don't know if it would help but someone below suggested sifting the flour first. Thank you very much for this recipe! Although scones at the fair are lovely, I can't justify paying so much for them anymore. If these are even CLOSE, I'll be thrilled! Hope this helps anybody with "too much" flour trouble: If it's humid and/or damp where you live (WA definitely! ), sift the flour first because it compacts over time. I have carefully measured 3 cups, but after sifting, I've ended up with as much as 1/2 cup more!! Usually only 1/3 cup more, but still - that's quite a bit! Also, lucky Southern folks can get their hands on (wonderful, heavenly!) White Lily and other superior flours. It took me years to figure out why I couldn't duplicate Grandma Clemmie's biscuits - and it was all due to the flour! I have to order it and pay a ton for shipping, but it's all I use for biscuits and scones. Husband used to call my biscuits hardtack - ha! I'm trying your recipe next Sunday for breakfast and will let you know! Thank you!!! I live outside the USA so im not sure our "stick of butter" is the right size. What is the amount of butter in oz or grams used in this recipee? It is 4 ounces. Thanks for stopping by!